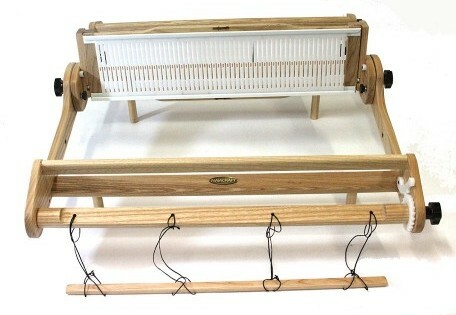 Last week we relaunched our Dynamic Heddle weaving loom, the Majacraft variation on a rigid heddle loom. 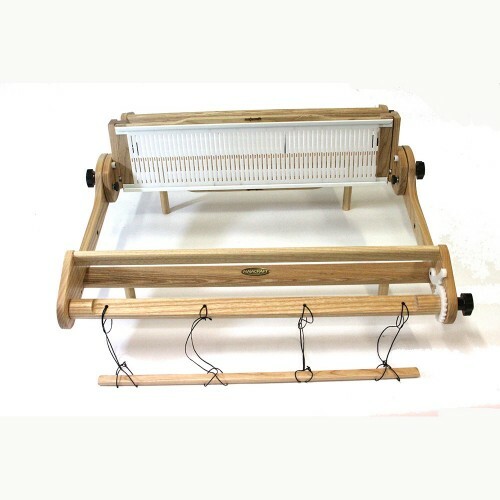 We created this loom some years ago, and included innovations we are still very proud of such as the variable dent reeds (hence ‘dynamic!’) and the rare earth magnet heddle attachment which makes the heddle super easy to move into each weaving position. Now, after a short hiatus we have tweaked the design and streamlined our hand building processes to re-release this loom for sale again! This is a loom that has a huge range. 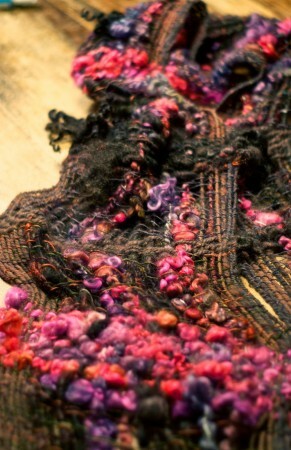 Because of the variable dent reed it is possible to warp it with very bulky yarns, and if you are making a wearable item from your art yarns and bulky yarns you will find this gives your piece a fantastic drape along the length of it, rather than sitting flat, which is what usually happens when your bulky yarns are in your weft sitting across the width of the weave. 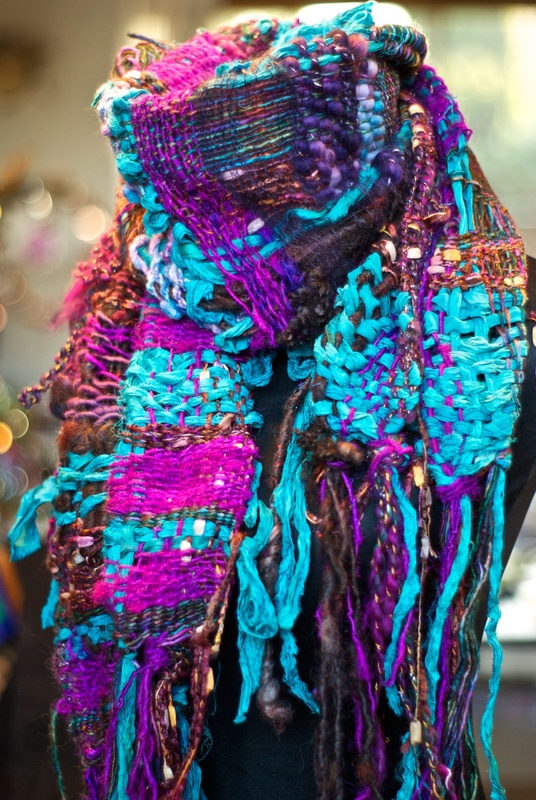 In fact you can even almost keep the effect of wearing your handspun skein around your neck if you use a fine yarn in your weft and the art skein in your warp. You can also use the variable dent reed to use a variety of thickness yarns in your warp, which gives the opportunity to create texture and interest in your piece. 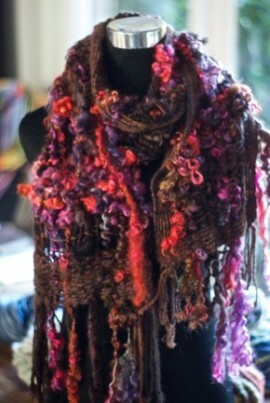 With this loom you have a lot of freedom to play around and experiment with your yarns! But not only can you get experimental with your unusual yarns and materials, you can also enjoy the ease of use with this loom creating more ‘traditional’ weavings, selecting a finer reed set (10 or 12 dent reeds are great for this!) 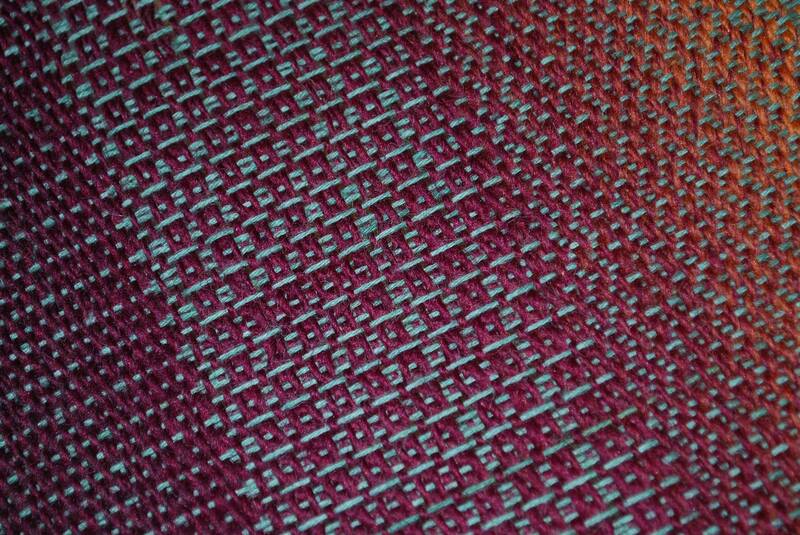 and even adding a second heddle to create a wide range of patterns in your weaving. The following image is some double heddle weaving by Annick Keters (Belgium) created as a practice piece. 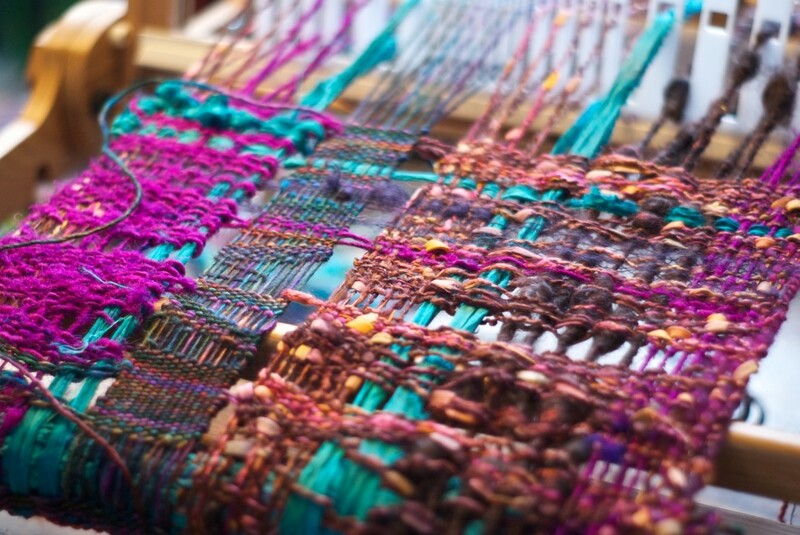 We are very happy to have this loom return to our product range, and are excited to continue seeing the amazing weavings people are creating with it. If you would like to see more incredible creations made possible with this loom and the creativity of current loom owners you can also visit our Dynamic Heddle Loom Facebook group, there is some wonderful inspiration being shared there and its a fun group for Majacraft Loom owners. If you are ready to become a Dynamic Heddle Loom owner youself (yay!) you can now place your order with any of our wonderful Majacraft Dealers , they are also happy to help you in making choices on reed selection and accessories for your loom.